I've been drawing a lot of Mario stuff over the last week or so because of the anniversary. 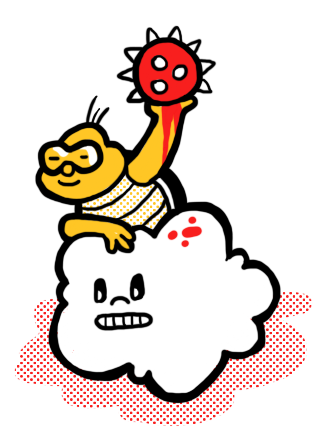 Today's drawing is of Koopa aerial unit/camera carrying turncoat Lakitu holding one of his trademark Spiny eggs. LOL! But Mario Do Not Jump In Him. Spiny Is a Spiky Buzzy Beetle.